Why Use An iPhone Data Recovery for Data Recovery than iTunes or iCloud? Having deleted your image and other important data from your iPhone, you would think that it can’t be recovered anymore. But you are wrong, by using automatic iPhone image recovery software, you can recover all your important contacts, notes, messages, images and videos from iPhone whether it is in good condition or in damaged condition. Some unexpected situation may arise with anyone in which people could lose their data stored in their phone. Actually, it can be caused by water damage, phone damage, accidental deletion, infection or anything else. And if the phone is one of the iOS devices like iPhone 5C then amount of such data loss is unimaginable. iPhone is heavily loaded phone with numerous contacts, messages, notes, call history, bookmarks, whatsapp history, images, music, videos and many more. Fortunately there are some tools which can get these data back after deletion. What About iTunes and iClouds for Data Recovery? iTunes and iClouds can be used for the recovery of data when they get deleted. But one condition which must be fulfilled with this option is that you have backed up these files in the PC by using iTunes or on a remote server using iClouds. These two utilities are developed by Apple and are all used for backup and restore of iOS devices data, but they also have difference. Generally speaking, iTunes is used for the backup of data on user’s own computer. Actually it is also a multimedia software provided by Apple but its functionality makes it software to backup and restore the data. If a user has a backup on PC, then he or she can try it out for restoration of backup. But the disadvantage is that iTunes does not support backup of all kinds of files. iCloud is the service provided by Apple to its iOS users whether they use iPhone, iPad or iPod. A unique ID and password is provided to each of these users. They can login into iCloud account and use it to back up and perform a restoration of all the data. The problem here arises when the amount of data is extremely large or the Internet connection is too slow. As the data is stored on a remote server, it needs high speed Internet connection for both backup and restore. Now, you must have known that why more and more users wish to find an alternative software to iTunes or iCloud, right? Here, let’s us to check the advantages of a 3rd-party iPhone data recovery software. Suppose a condition when you don’t have a backup of your iOS device data. Or if you have made the backup, then added a new file to the device and lost data before updating the backup. In these conditions, one can’t expect iTunes or iClouds will work for him or her to get back lost data. So the only option which will work in these circumstances is a professional iPhone Data Recovery software. Here, iOS device will be used because this recommended program supports deleted data recovery from all versions of iPhone, iPad and iPod. So if you are facing such kinds of files loss, please don’t hesitate to download and install this MobiKin Doctor for iOS (Windows/Mac) on your computer, then try to backup or restore your lost files from iPhone without hassle. Actually, you still have a big chance to get back your lost SMS message. But here, you need to find an Android Data Recovery software for Samsung 7 edge. If you have no choice about it, please take a free trial on this MobiKin Doctor for Android. informative post for me my windows is crashed so i want to access all data but i do not know how to access the lost data but i can access all data with the help of your post so thanks for sharing this post. how can recover my formatting data of my iPhone?? iCloud is good for keeping a backup for your files, but it doesn’t guarantee total protection to the data. Restoring them is not that simple when trying to access it from a different device. Using data recovery software tool is better. The advantage of making the backup on the iTunes or in Icloud is that the data will be saved on cloud and whenever you miss the data you can recover from there easily. This is really an informative post for me that we can use an iPhone for data recovery than iTunes. There are several ways to find out the issue which is going to be done by the experts who will be going to show the technique that will be going to do the recovery data with the iTunes or with the icloud with the help of different way it will be able to solve out. The iCloud is used to take the backup of the data from the iPhone. iCloud is the best online data back up and storage software. 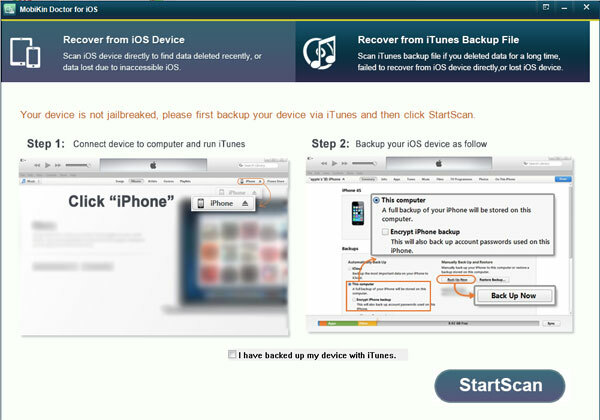 Quickly Recover/Extract Lost iPhone Contacts, SMS, Photos and More Data from iTunes Backup. I’ve seen iTunes update over the most recent two months and every time update completes, it requests that I boot my device. Amazing post. iCloud is good for keeping a backup for your files, but it doesn’t guarantee total protection to the data. Restoring them is not that simple when trying to access it from a different device. Using data recovery software tool is better. Thanks!! Hi, friend! Thanks for your approval and I am glad that this post is helpful for you.